So this time I definitely wanted to do something with it, but didn’t know what at first. As I rummaged through my fridge, I saw green onions and thought, HEY! I’ll make some green onion pancakes!!! ^____^ I was definitely excited that my dough wasn’t going to go to waste. 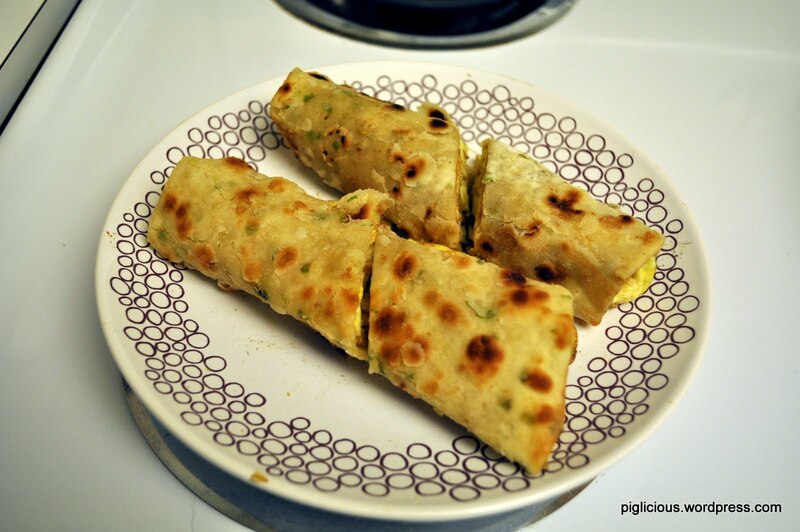 (Green onion pancakes, very easy. (I think some people add oil/shortening but I didn’t…) Chop up green onion, stretch the dough out, place the onion in the middle, knead to evenly distribute. Repeat process to add all of the green onion. Add some salt. Continue kneading. 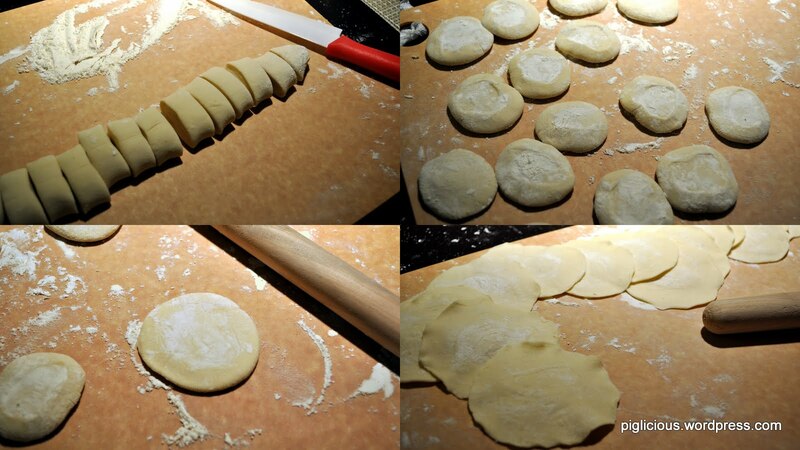 Like making the potsticker skins, roll to a circular long shape, cut into segments etc. Roll them into very very thin “skins” (edges do not have to be thinner). Flour them up real well, stack them, wrap in foil and put them in the freezer where you can store it to cook later). I wanted to taste test this random creation, so I pan fried one of them up with a little bit of oil. 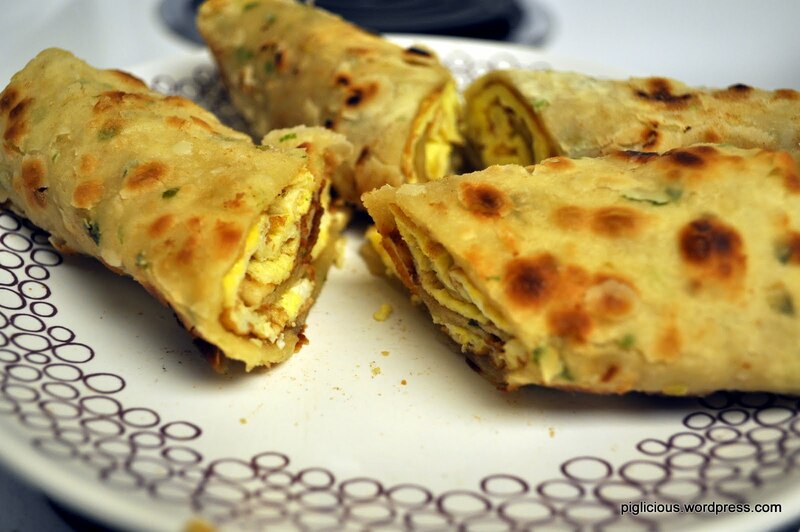 Then I got more creative and decided to make an egg as well (added some salt in before beating) and roll it up with the green onion pancake to make a 蛋餅 (egg pancake roll) that people eat in Taiwan for breakfast. I should’ve added some green onion to the egg, but it was yummy nonetheless.